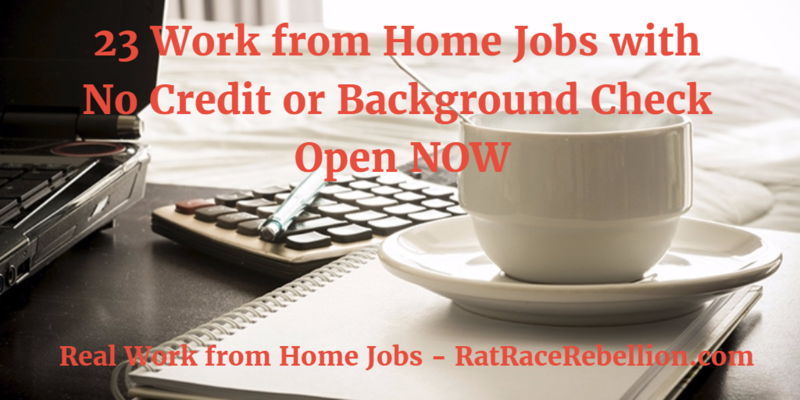 Not all work from home jobs and gigs require a credit or background check. Here are 23 that don’t, open now. This entry was posted in Jobs with No Background Check, Jobs with No Credit Check, Work at Home Jobs and tagged iSoftStone, NiceTalk, Postloop, Shmoop, Via Magazine. Bookmark the permalink.